Locate the seat belt retractor and seat belt. Remove the retractor cover mounting screws. Remove the cover. Remove the retaining bolt holding the retractor to its mounting point. Remove the adjuster cover to access the upper adjuster bolt. Remove the adjuster or mounting bolt and pull the shoulder belt off. 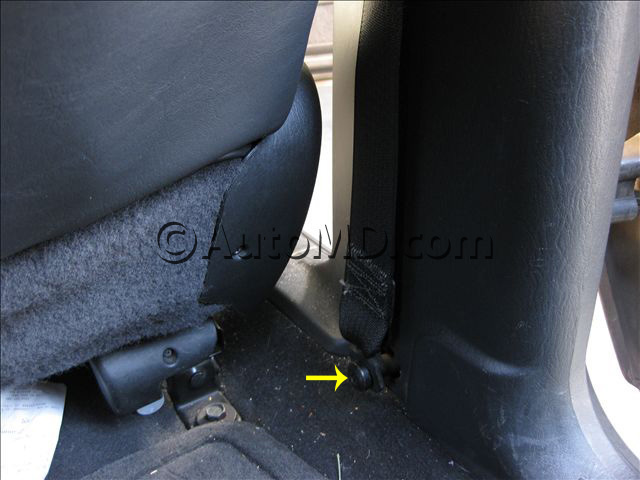 Remove the lower lap belt mounting bolt and remove the seat belt and retractor assembly. 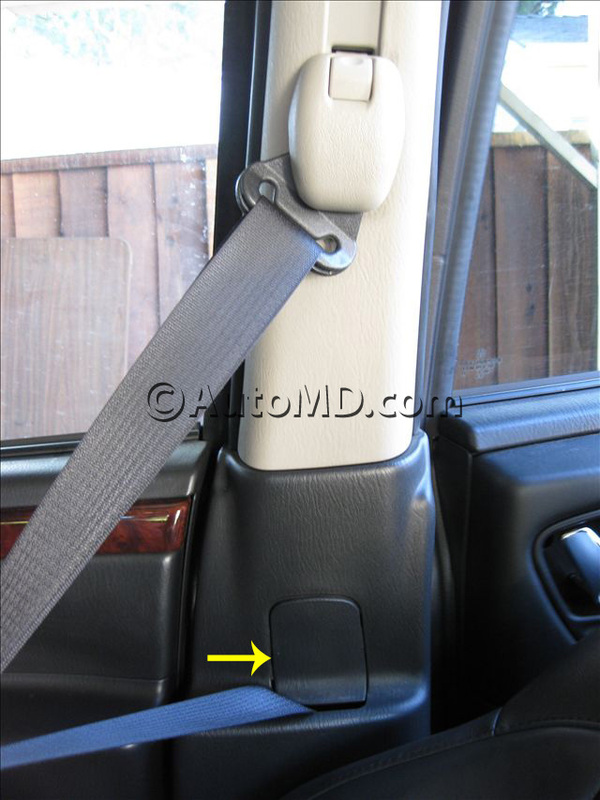 Compare the new seat belt and retractor to the old one to make sure it is correct. Install the new seat belt and retractor. Reinstall the retractor cover. Tighten the bolts to manufacture recommendation. Install the adjuster mount bolt. Test seat belt for proper operation.